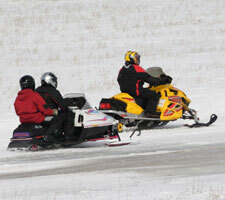 Snowmobile and ATV accidents are all too common in northcentral Wisconsin. If you’re the victim of a snowmobile or ATV accident it’s important to know that state and federal laws govern operators and passengers of these recreational vehicles and are designed to protect you and your rights. 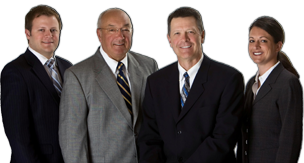 The personal injury attorneys at Tlusty, Kennedy & Dirks, S.C. have years of experience in handling snowmobile and ATV accident cases in central Wisconsin. We’ll provide you with a free consultation to help evaluate your claim and should you decide to file a case we will ensure you meet directly with an attorney throughout the duration. Our personal injury attorneys do not charge attorney fees unless you receive compensation. Insurance adjusters may contact you soon after the accident in an effort to get you to answer leading questions or make a statement that can negatively impact your chances for a fair settlement. Insurance companies will also pressure you to accept an early settlement offer that may fail to provide you with full compensation for future complications that result from your accident. Contact us today. We serve families in the greater Wausau, Weston, Schofield, Rothschild, Kronenwetter areas of Marathon County as well as Lincoln County, Taylor County, Langlade County and Wood County.